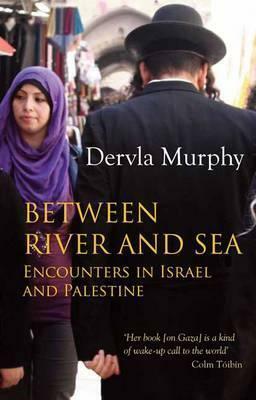 Following A Month by the Sea, her acclaimed exploration of life in Gaza, Dervla Murphy describes with passionate honesty the experience of living with and among Jewish Israelis and Palestinians in both Israel and Palestine. In cramped Haifa high-rises, in homes in the settlements and in a refugee camp on the West Bank, she talks with whomever she meets, trying to understand them and their attitudes with her customary curiosity, her acute ear and mind, her empathy, her openness to the experience and her moral seriousness. Behind the book lies a desire to communicate the reality of life on the ground, and to puzzle out for herself what might be done to alleviate the suffering of all who wish to share this land and to make peace in the region a possibility. Meeting the wise, the foolish and the frankly deluded, she gradually knits together a picture of the patchwork that constitutes both sides of the divide - Hamas and Fatah, rural and urban, refugee, indigenous inhabitant, Russian, Black Hebrew and Kabbalist to name but a fraction. She finds compassion and empathy in both communities, but is also appalled by instances of its lack on both sides - a Palestinan woman who will not concede the suffering of Jewish civilian victims of a suicide bomber, and the Jewish inhabitants of Hebron who make the lives of their Muslim neighbours a living hell. Clinging to hope, Dervla comes to believe that despite its difficulties the only viable future lies in a single democratic state of Israel/Palestine, based on one person, one vote - a One-State Solution.